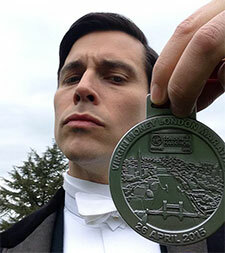 This week we feature actor, Robert James-Collier, who played the tragic hero Thomas Barrow the butler in Downton Abbey. 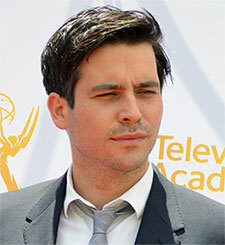 James-Collier, who will turn 40 at the end of September, didn’t decide to become an actor until his mid-twenties. Having attended the University of Huddersfield, where he got a degree in business and then the University of Manchester Institute of Science and Technology where he got a degree in marketing, it came as a shock to his working class family when he told them “I’m going to scratch all that and become an actor”. As he tells it, “I may as well have said I was going to be a Premiership footballer for the chance I’d have”. At the time he was working as a marketing assistant in an office that he reportedly found unnervingly similar to the one depicted in the Ricky Gervais series The Office. Deciding that he couldn’t do what he was doing for the rest of his life, he found an acting coach in the Yellow Pages and began going to classes one night a week after work. 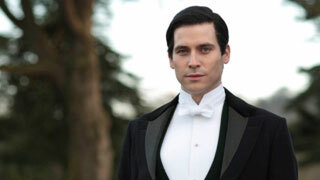 James-Collier eventually gave up his office job and worked part-time at a variety of jobs, including packing frozen pasties in a factory and being a bricklayer’s laborer, while he auditioned. In 2000 he got his first television role, as a womanizing pub landlord in Down to Earth, a series which ran for five years and starred Warren Clark, of Dalziel and Pascoe fame. If you’re a regular viewer of that series, you might have seen Collier in the episode "The Cave Woman: Part 2". That was just one of a handful of television programs James-Collier was in, as he threw himself into his new career as a "jobbing actor". In 2006, James-Collier, was cast in the long running soap opera Coronation Street, a series which takes place in Manchester, the area where the actor was born. During his two years on the "Street", as it’s affectionately known, James-Collier also did some modeling and in 2007 and 2008 he won the Sexiest Male award at the British Soap Awards, as well as the Sexiest Male and Best Newcomer at the 2007 Inside Soap Awards. Despite those accolades, after he left Coronation Street, he was out of work for almost a year and a half until the opportunity came along for him to be in at the start of what would become one of the world’s most widely watched television drama series; Downton Abbey. 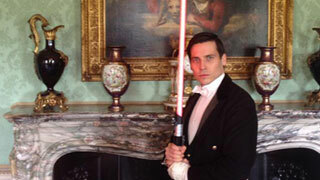 Julian Fellowes apparently told James-Collier at his audition for the role of Thomas that the character was gay. Although Thomas’s back-story was developed more and more over time, in season 2 of the series, the actor felt compelled to jokingly ask Fellowes “am I still gay?” The actor is known for his keen sense of humor and he and his good friend, Allen Leech, who plays Tom Branson, were known as the jokers on the set. On one occasion James-Collier roped Lesley Nicol who plays cook Mrs. Patmore into a bit of high jinx, when he encouraged her to join him - still in costume - on a visit to a local butchers in Bampton, where Downton is filmed. The shop was apparently selling what they called Patmore’s Pies.